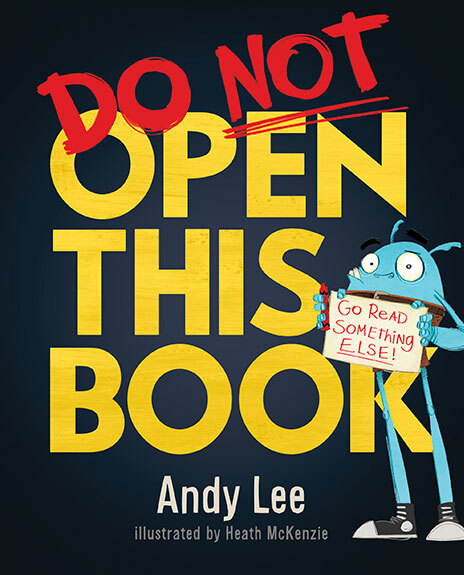 Do Not Open this Book was written by Andy Lee, illustrated by Heath McKenzie, and published by Lake Press, 2016. Hardcover. RRP: $Au19.99. Have you noticed how many picture books are directly interacting with children nowadays? They speak right to kids as an audience, inviting them to play or go along with the gag. In my experience of reading aloud to kids, they adore these books, and think of them as part game, part theatre and part hilarious joke. I am all for books that encourage kids to associate reading with sheer good fun. In Do NOT Open This Book kids are begged, pleaded with and exhorted not to open the book in case of something terrible happening…and happen it finally does. McKenzie’s crazy art work is as over-the-top as the text, making for one hilarious read-aloud, or a book junior readers will adore sharing with each other.